This is the ultimate home away from home. 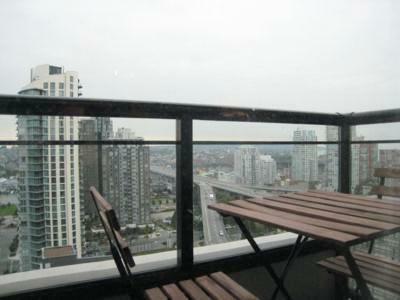 Escape from street-level noise while perched high above Yaletown on the 23rd floor. 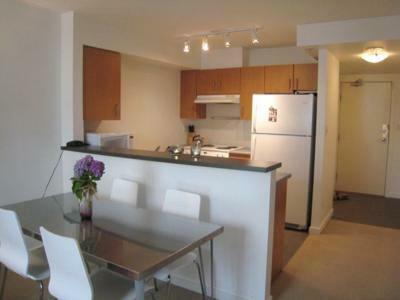 Eat breakfast on the patio while taking in scenic views of False Creek, Granville Island, and English Bay. Walk out the doors and arrive at many of the amenities that make Vancouver a world class city in minutes such as Yaletown, David Lam and George Wainburn Park, the new Canada Line Rapid Transit System, the Sea Wall and English Bay. Vancouver attractions such as BC Place, Rogers Arena, and other downtown locations are easily accessible by transit or on foot. This designer suite includes brand new furniture, a queen-sized bed and mattress, in-suite washer and dryer, and full-service kitchen equipped with electric stove, refrigerator, dishwasher and microwave to ensure that all your needs are covered to call this place home. Local grocery stores like Choices and Urban Fair are only a few blocks away for your needs. 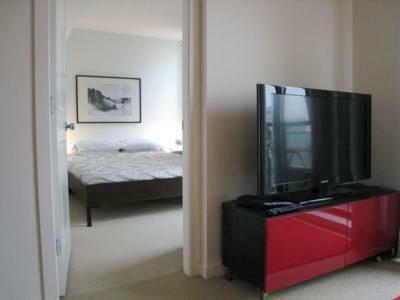 Also included in this home is a 42-inch flat panel HD LCD television with cable subscription as well as high speed internet service to keep you connected to the outside world while you're in yours. 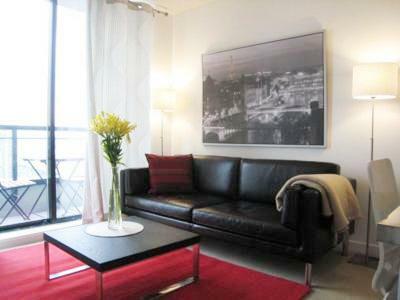 Call to reserve now while this unit is still available.